Hundreds of households in one of Telford & Wrekin’s newest communities will be able to enjoy the benefits of new fibre broadband technology around nine months earlier than expected thanks to the £5.6 million Superfast Telford partnership. Around 400 premises in Lightmoor Village will be able to upgrade to high-speed fibre broadband from the autumn, lead partners Telford & Wrekin Council and BT announced today. Close collaboration and the pace of the roll-out have enabled the work to progress more quickly than originally planned. Councillor Angela McClements, cabinet member for Neighbourhood Services, said: “This is great news that we’ll be able to get a very significant number of homes in Lightmoor connected to superfast fibre broadband much earlier than expected. “We’re also looking to ensuring that all homes in the Lightmoor area will have access to a superfast service – that’s important for this fast-growing community. Colin Bannon, BT’s regional director for the West Midlands, said: “Our project teams are making great progress completing some works faster than expected, allowing us to accelerate the roll-out. “We’re particularly pleased to be able to bring the technology to parts of Lightmoor earlier than originally planned because we know from the feedback we have received how keen local people are to have access to faster fibre broadband. 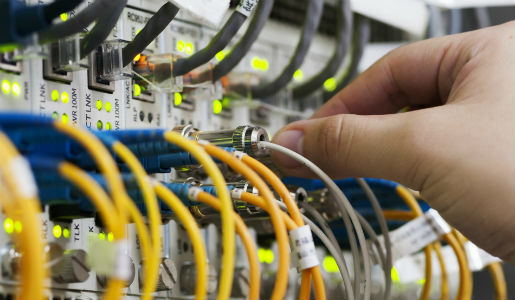 Engineers from Openreach – BT’s local network business – are installing two new fibre broadband cabinets, which are needed to enable households and businesses in the Lightmoor Village area to connect to the main fibre optic network. Upgrade work will continue to enable even more new properties being built to access the technology. Superfast Telford, which is part of the Government’s Broadband Delivery UK (BDUK) programme, began connecting the first homes and businesses just before Christmas. The roll-out has already seen 1,900 properties in the borough now able to access faster fibre broadband. By the end of 2017, this figure will rise to around 9,300 households and businesses, with 8,800 of them able to access ‘superfast’ download speeds of 24 megabits (Mbps) and above. As the Openreach network is open to all communications providers local households opting for an upgrade will be able to order fibre broadband with download speeds of up to 80Mbps and uploads of up to 20Mbps* from a wide range of service providers. All the latest information on the programme can be found on the partnership’s website – www.superfast-telford.co.uk – including a map searchable by postcode where people can sign up to receive the latest updates.